Mild temperatures and a low sun created some subtle scenes around Fossil Gardens. The garden is slowly going to sleep, but the sculptures are waking up. 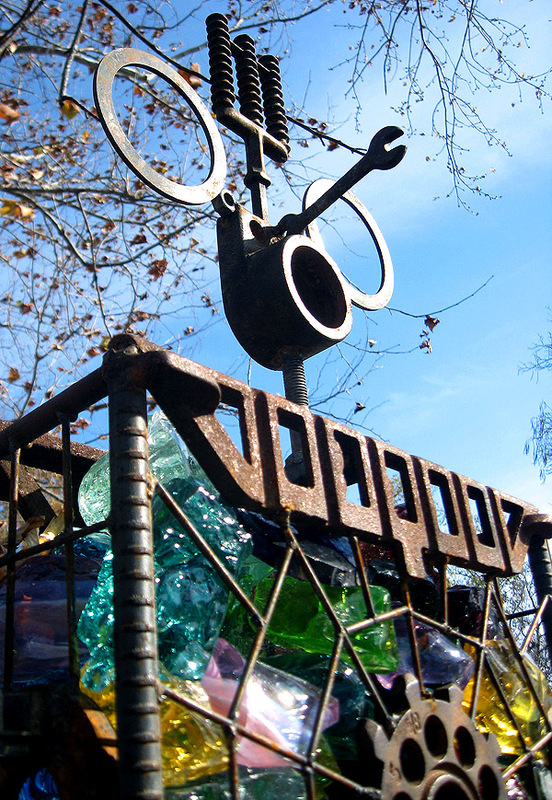 During winter, the steel and glass become central figures in the landscape. The BugBot shines in the sunlight. The Bottle Monster takes on the color of fallen leaves. 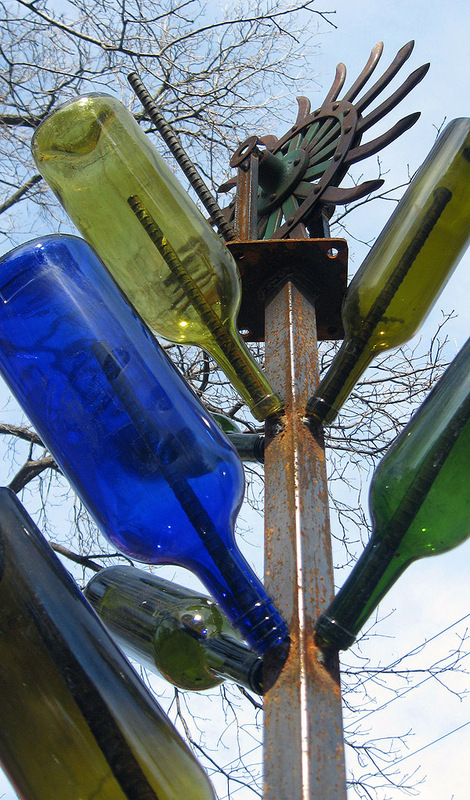 The newest Bottle Tree Flower begins the slow process of aging to perfection. The Tallgrass Fence collects leaves at its base and autumn light at its tips. Another Bottle Tree Flower stands over the crisp water flowing into the pond. Bailey’s Garden casts a late afternoon shadow.